Joe Hockey recently floated the idea of allowing first home buyers to use their superannuation to pay for a home deposit. Such a policy would be more likely to increase the price of housing and reduce retirement incomes than solve the problem. But the suggestion does recognise how growing numbers of Australians cannot fulfil their dreams of owning their own home. Home ownership is falling, especially among younger and lower-income households. In 1981, more than 60% of Australians between the ages of 25-34 owned their own home. By 2011 only 48% did so. Home ownership rates are falling among all age groups under the age of 55, and particularly fast among lower-income households. This is not through lack of interest – about three-quarters of today’s 15 to 19 year olds consider home ownership highly important. The problem is that a growing proportion of people born after 1970 can’t afford to get on the property ladder. The median home used to cost about two and a half times a median household’s disposable income. Today it costs five times. Low interest rates mean that paying off a first home loan today requires less of a household’s disposable income than it has on average over the last decade. But interest rates would only have to rise a small amount from today’s historic lows to leave younger households paying much more than previous generations. Because house prices have increased most quickly in inner and middle suburbs, many people who do manage to buy a home can only afford to live in suburbs on the outer fringes of cities. But living on the fringe cuts households off from many opportunities, and exacerbates the growing divide in our cities between where people live and where they work. The Grattan Institute’s new book City Limits shows that more than half of recent population growth in large cities has occurred in outer suburbs more than 20km from city centres. By contrast, more than half of the new jobs are in inner suburbs within 10km of city centres. City Limits shows that the costs of this divide include fewer job opportunities, heavy traffic congestion, long commute times and a big drop for many city residents in the quality of family and social life. 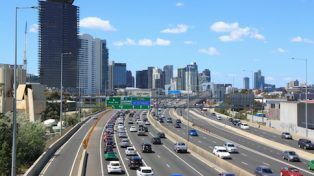 In large outer areas of Australia’s biggest cities, fewer than 10% of all jobs in the city can be reached in a 45-minute drive. People living in fast-growing outer suburbs spend 20% longer commuting than people in inner suburbs. Many face higher living costs of thousands of dollars a year due to dependence on long commutes by car. And because long commutes make life harder for families, there is a big gap between male and female workforce participation in the outer suburbs. Trying to live closer in is getting harder than ever. Increasing demand and sluggish supply is relentlessly pushing up inner city house prices. 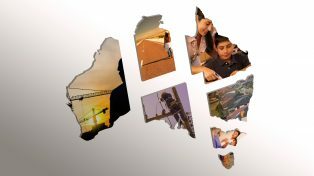 One government body estimated that Australia has a shortfall of 228,000 homes, a number that has increased steadily over the past decade. Inner and middle suburbs have especially acute shortfalls of semi-detached homes such as units, townhouses, terraces and flats in low-rise buildings. Tax concessions for housing investment also contribute to falling rates of home ownership. Discounted capital gains tax and negative gearing make investing in housing a more attractive proposition than other investments, especially for people on higher incomes. Taxpayers can write off all of the costs (including interest payments) at their marginal rate of tax, while only paying tax on half of their capital gains. As as a result, Australia now has about 1.2 million taxpayers who negatively gear residential housing. And more than half of all capital gains – and therefore more than half the value of the capital gains discounts – are made by the 2% of taxpayers who earn more than $180,000 a year. These tax concessions aren’t cheap: negative gearing by individuals costs the Commonwealth budget about $4bn a year. If these concessions are supposed to increase housing supply, they aren’t very efficient. They primarily support investors to bid up the prices of existing homes, often putting them out of the reach of first home buyers. Almost 95% of lending for housing investment is for people to buy established houses, rather than build new ones. So what can be done? Governments can take two big steps to ease affordability problems. First, making it much easier to build new homes in established inner and middle suburbs would put many more households within reach of home ownership. It would also give people more choices about where they live and the kind of home they live in. It would require simplifying convoluted planning rules and decision-making processes. While high standards for development are necessary to respect the interests of local residents, we don’t need the complexity, uncertainty and costs that plague the current system. Homeowners in the middle suburbs of cities shouldn’t have to live in the shadow of 10-story apartments. But we do need many more two- and three-storey townhouses that can accommodate a lot more people. Second, tax policy should encourage rather than discourage home ownership. Reducing the capital gains tax discount and negative gearing would level the playing field between investors and first home buyers, and improve the Commonwealth’s budget balance into the bargain. There are several options for making these changes gradually. Grandfathering existing ownership is not ideal as it would just lock in the existing patterns. Instead, the capital gains tax discount could be gradually reduced over a number of years. Alternatively, taxpayers might be allowed to deduct only a percentage of their housing losses against their wage income – and that percentage could decline over time. More generous deductions might be maintained for those investing in the construction of new homes. Existing home owners benefit from restrictive planning rules. Existing housing investors benefit from tax concessions. So these would be difficult reforms. But if we’re serious about giving more Australians the chance to own their home, they are worth making. 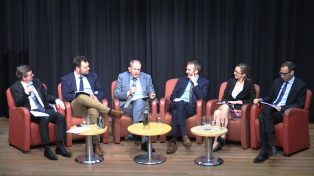 This is an edited version of John Daley’s address at the City of Sydney’s CityTalks public forum, Fixing Sydney’s Housing Crisis, on 12 March.